Entrepreneurs have an opportunity to improve their business by learning how to create new avenues for revenue, learn from industry leaders and network at TiECON 2018. This annual event takes place Sept. 28 at The Hotel at Avalon in Alpharetta. The Atlanta Small Business Network is the official media sponsor for the event. The conference brings together metro Atlanta’s top entrepreneurs, investors and business leaders to provide insight on the local, national and global entrepreneurial ecosystem. “TIECON Atlanta is a conference built for entrepreneurs, by entrepreneurs. We support business owners, or entrepreneurs, in every aspect of their journey and we know that this conference will allow everyone to take away the information they need to continue building their businesses,” said Amyn Sadruddin, executive director of TiE Atlanta and TiECON Atlanta Chair. This year’s event features a strong group of keynote speakers including, Michael Coles, co-founder of The Great American Cookie Company and namesake of Kennesaw State University’s Michael J. Coles College of Business; Cindy and Kevin Abel, founders of Abel Solutions, a technology consulting firm; and, Bill Nussey, a serial entrepreneur who has built and exited from three companies, with his most recent venture sold to IBM. The conference will also highlight the impact of women in technology and female entrepreneurs. Dubbed, ‘Impact of Women’, the panel will feature leaders from Cardlytics, an Atlanta-based marketing technology firm and the 2018’s first tech IPO; PPICW, a leader in corporate diversity and inclusion; and GOODR, a tech-enabled food sustainability company. TiECON will also include breakout sessions focused on early-stage investments, exit planning, Fintech and Blockchain technologies. The conference includes four hours of networking, breakfast, lunch and a post-event reception. JP James is chairman and investor of Octane Systems and a TiECON Atlanta Fintech panel moderator. He said the breakout events will provide attendees a chance to, “get up front and personal” with the experts as they discuss the issues. “Atlanta is the fintech capital of the world. Blockchain is everywhere in the news, and new technologies like Blockchain are going to disrupt the market. Our brilliant panel of experts was carefully chosen to be able to bring more understanding to these new spaces in technology and share how they may affect upcoming entrepreneurs and startups,” he said. 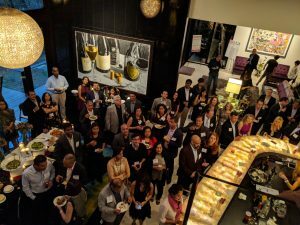 The event is hosted by TiE Atlanta, a nonprofit organization that invents, invests in and inspires entrepreneurs through its funding, mentoring, educational programs and its global network of 10,000 members and 65 chapters worldwide. What: 2018 TiECON Atlanta – Invent. Invest. Inspire. TiE Atlanta’s annual conference will bring together over 350 entrepreneurs and industry leaders in FinTech, blockchain, early and late-stage startups and inspiring keynotes. Breakout sessions covering fintech, blockchain, early-stage entrepreneurs and exit planning for late-stage entrepreneurs. 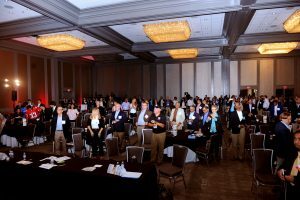 Why: TiECON Atlanta is the premier conference for entrepreneurs, by entrepreneurs. 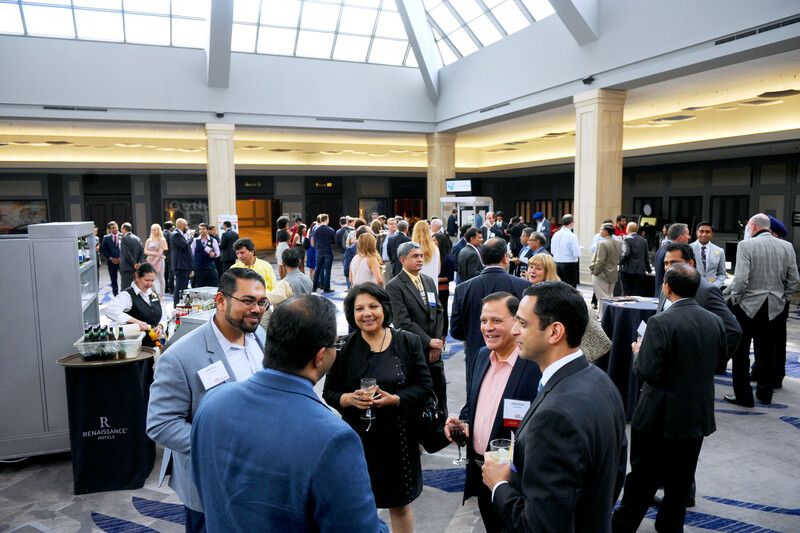 Designed with entrepreneurs in mind, TiECON Atlanta brings together all of TiE Atlanta’s offerings in one place as hundreds of eager-to learn-entrepreneurs come together to receive mentoring and education from top business leaders, venture capitalists, investors and more. About TiE Atlanta: TiE Atlanta invents, invests in and inspires entrepreneurs in all industries, from ideation to exit, by providing access to funding, educational programming and mentoring by local and global leaders. Since its founding in 1998, TiE Atlanta has raised more than $1.5 billion in venture funding for Atlanta-based entrepreneurs who run public and private companies and have generated more than $2 billion from acquisitions. 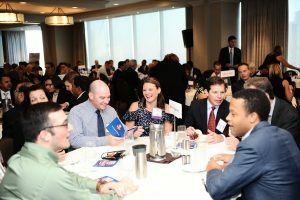 TiE Atlanta is a top five chapter of TiE Global, the world’s largest entrepreneur organization with over 60 chapters in 20 countries, and over 10,000 members.